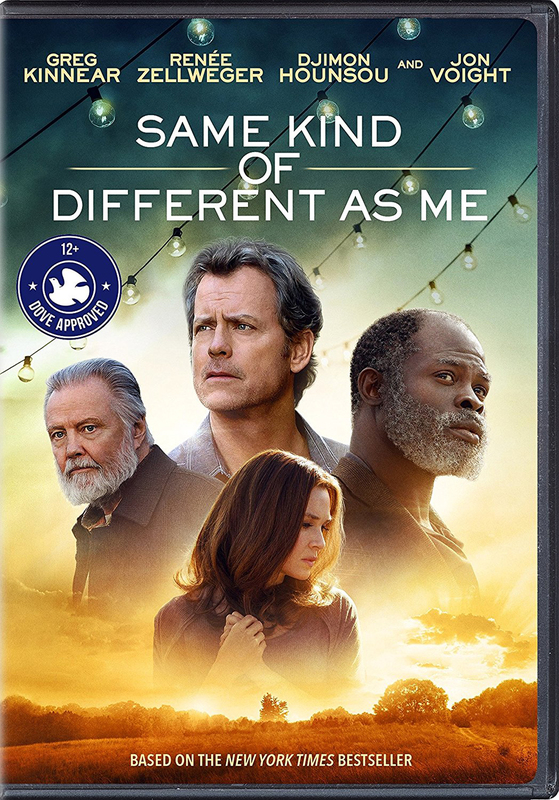 The heartwarming drama “Same Kind of Different as Me” arrives on Blu-ray and DVD Tuesday Feb. 20, from Paramount Home Media Distribution. The title also is now available on digital formats. Based on The New York Times bestseller and recipient of the Dove Foundation seal of approval for ages 12 and up, the true life drama follows successful art dealer Ron Hall (Greg Kinnear, “Heaven Is for Real”) and his wife Debbie (Renee Zellweger, “Bridget Jones’s Diary”), who seemingly have the perfect life. But when their faith and family are tested, an unlikely bond with a homeless drifter (Djimon Hounsou, “Blood Diamond”) leads them on a remarkable journey that forges an everlasting friendship. “Same Kind of Different as Me” shows how a simple act of kindness can change everything. The Blu-ray includes more than an hour of behind-the-scenes bonus content, including deleted and extended scenes, featurettes and commentary by director Michael Carney, writer Ron Hall and writer Alexander Foard. The DVD includes the feature film only. The highly anticipated family comedy “Daddy’s Home 2” arrives on 4K Ultra HD, Blu-ray and DVD Tuesday Feb. 20, from Paramount Home Media Distribution. The original “Daddy’s Home” also arrives the same day on 4K Ultra HD Blu-ray and both films will be available in a two-movie Blu-ray Double Feature pack. “Daddy’s Home 2” also is available on digital platforms. The “Daddy’s Home 2” 4K Ultra HD Combo Pack and Blu-ray Combo Pack feature over 45 minutes of bonus content. Go behind the scenes with five featurettes, deleted, extended and alternate scenes and a gag reel. Plus, for a limited time only, get a bonus digital copy of the original Daddy’s Home with the 4K Ultra HD & Blu-ray Combo Packs. In addition, the “Daddy’s Home 2” Blu-ray and 4K Ultra HD discs boast a Dolby Atmos soundtrack remixed specifically for the home theater environment to place and move audio anywhere in the room, including overhead and the 4K Ultra HD disc features Dolby Vision high dynamic range (HDR), which delivers greater brightness and contrast, as well as a fuller palette of rich colors. The crime-thriller “Rise of the Footsoldier Part II,” the follow-up to 2007’s cult hit “Rise of the Footsoldier,” arrives on DVD, Digital, and On Demand on Tuesday Feb. 20, from Lionsgate. The crime thriller stars Ricci Harnett (“28 Days Later”), Craig Fairbrass (“The Bank Job”) reprising their roles, as well as Charlie Heaton (“Stranger Things”) Luke Mably (“28 Days Later”) and Steven Berkoff (“Red 2”). In this true-life crime saga, gangster Carlton Leach (Harnett) seeks revenge for the murder of three friends by seizing control of the criminal underworld he abandoned. Extras include a director’s commentary and a making of featurette. It will be available for the suggested retail price (SRP) of $19.98. If there’s one thing people can always use more of, it’s a good laugh. 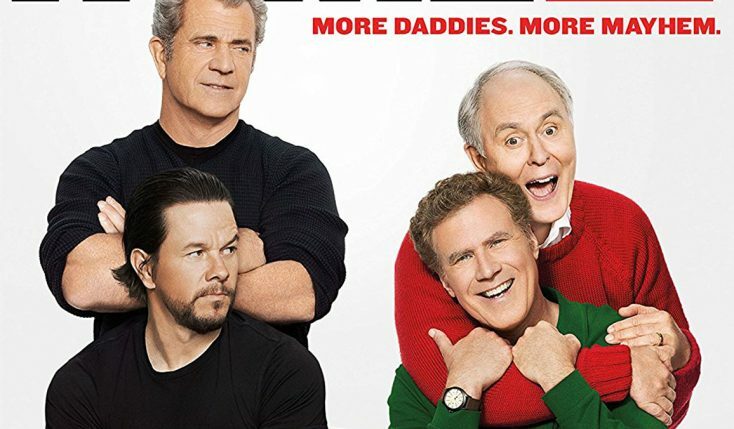 That’s why Front Row Features is giving away two copies of the hilarious and heartwarming comedy “Daddy’s Home 2” on 4K Ultra HD Combo Pack with Blu-ray and digital copies. To enter the contest, simply email socalmovieeditor@aol.com by Feb. 26 for your chance to win. Good luck! Next PostPhotos: ‘Same Kind of Different as Me,’ ‘Daddy’s Home’ Sequel, More on Home Entertainment … Plus a Giveaway!! !